Save up to 80% with Exclusive Member Discounts. NAPA has partnered with Office Depot and OfficeMax to bring you a FREE national discount program. Save up to 80% off preferred products! Shop online or in stores! FREE next day delivery on orders over $50! 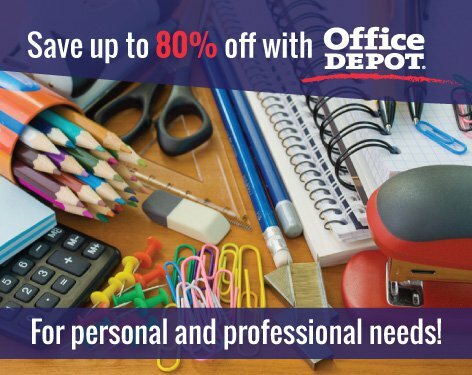 You have access to exclusive discounts at Office Depot.